I admit. 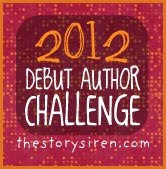 I was a bit skeptical: here's a popular romantic YA novelist turned paranormal trying to sell me her story on dragons? What's the chances of it being any good? Which leads to admit #2. The first time I read it, I read the prologue. Then returned it to the library. The second time I read it. It was glued to my hand. I was even tempted to read pieces of it at the stoplight, but figured that wouldn't end well for either of us. So your probably wondering why it worked the second time around: maybe I wasn't in the mood for dragons at the time or maybe after I started chapter 1, it took on a different life than what I thought it would be. I still don't like the prologue--don't get me wrong, it is a good introduction to dragon history...but I guess that's where it lost me for awhile: I felt like I was reading an introduction when I just really wanted to get into the story. However, once the first chapter began, it changed viewpoints to one of the main characters and Hill's trademark humor and wit was completely evident...and that's what I was waiting for. Ultimately, I am thoroughly impressed that Hill/Rallison can write equally as well in such a different genre. Typically, I'm not a fan of 3rd person, but Hill did it in such a way that I felt as if I were in each of those characters. Each of them had a unique and distinct personality: a difficult feat for a book with so many characters. Like other writers, she could have stuck with to stereotypical character mold: here's the snobby rich girl, here's the bad boy, etc.. But she didn't. She added and changed those stereotypes so that you really get to know who that person is. Plus, she also introduced me to my next fictional boyfriend: Can I have flying lessons too? If you are interested in a modern take on dragons filled with romance (yes!) and want to see some cool fighting powers, then get your copy now! But be forewarned, you may not ever want a dragon for a pet. Hungry for a copy? 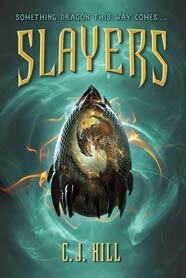 Slayers is now available at booksellers everywhere! I asked her about it on twitter and she said it has just been delayed because she was working on another book. Thanks for the info! I'm so glad there's going to be another one!